Wednesday 5 December 2018 was International Volunteers Day and as part of this year's celebration, the Mayor of Liverpool held a reception for local volunteers who act as Community Champions. We were delighted that 7 of the volunteers we work with at GTDT and Riverview Development Trust were recognised for their community volunteering and received a certificate of appreciation from the Lord Mayor. 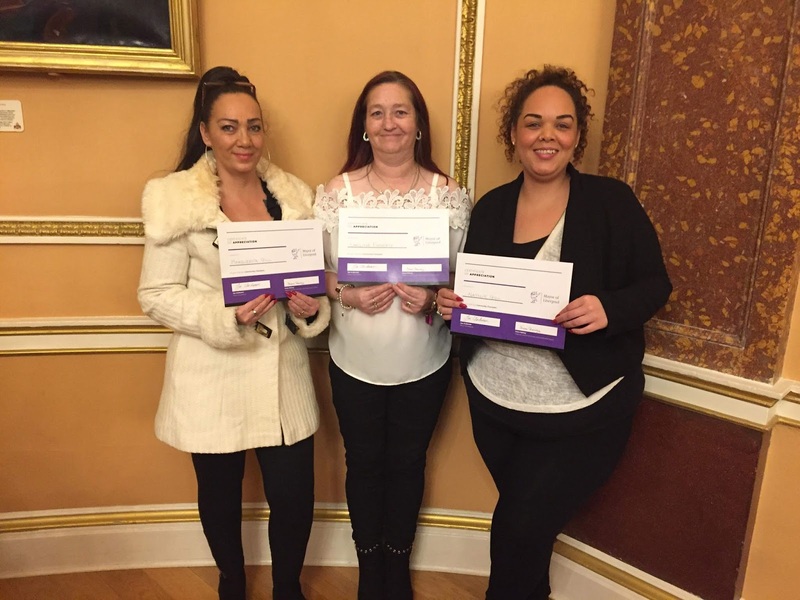 Huge congratulations to Marguerita Gill, Caroline Finnerty, Natalie Gill, Ivan Freeman from GTDT and to Sharon O'Reilly, Ann Conroy and Nikita Balal from Riverview Development Trust and a massive THANK YOU for all your hard work and dedication! International Volunteer Day (IVD) 2018, “Volunteers build Resilient Communities”, recognises volunteers worldwide – with a special focus on local community volunteers and #IVD2018 focuses on the values of volunteerism through the appreciation of local volunteers, including the marginalised groups and women, who make up nearly 60 per cent of volunteers worldwide, and their impact on building #ResilientCommunities.